The UC Butte County Master Gardeners Demonstration Gardens are located on the grounds of the historic Patrick Ranch Museum property, 10381 Midway, just south of Chico, California. These gardens are used for public education, including classes and workshops emphasizing sustainable gardening practices, integrated pest management and backyard food production. In 2013 the overall garden design was completed and the first gardens were planted by volunteer Master Gardeners. The plan was bold, converting a barren one-acre plot into a connected series of themed gardens highlighting the possibilities available to gardeners in Butte County. 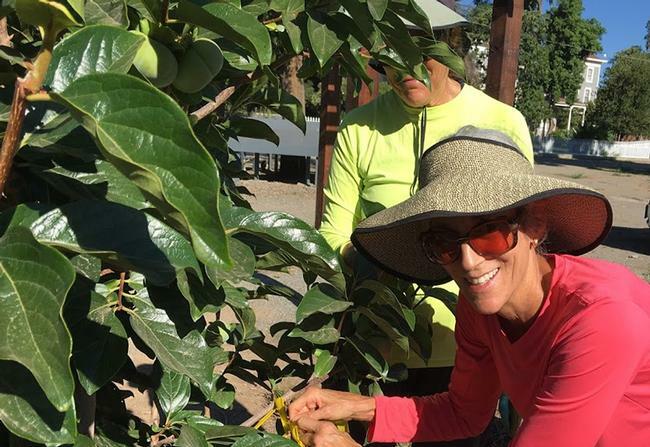 About half of the original plan is completed and the Master Gardeners continue to alter and improve the project as they go forward with a particular awareness of the changing extremes in California Central Valley weather. A walk around the demonstration gardens will lead you on a pathway through the following specialized gardens. 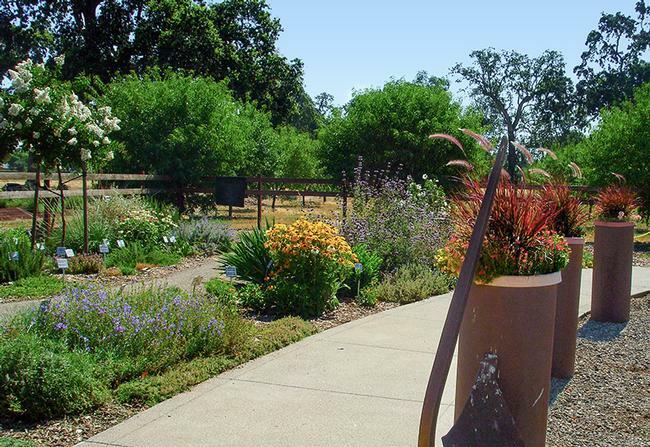 Butte County All Stars Garden—displays hardy plants that perform particularly well in Butte County. Mediterranean Garden—celebrates plants grown in Mediterranean-type climates characterized by moist, cool winters and hot, dry summers. 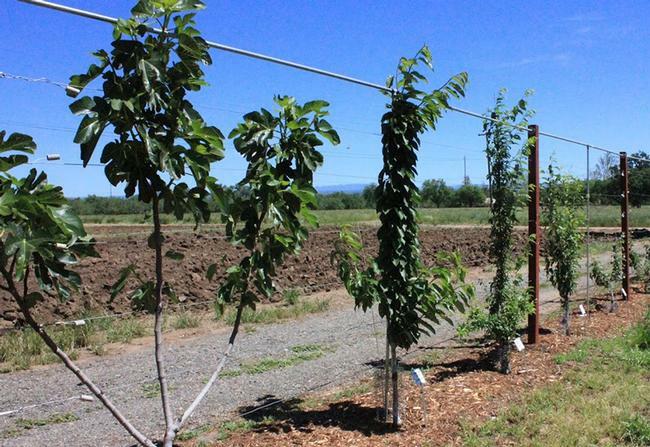 Espalier Fruit Trees—demonstrates the art of selectively pruning and training plants to a desired shape. Berm Garden—designed for people seeking guidance for gardening in areas with poor soil or drainage issues. 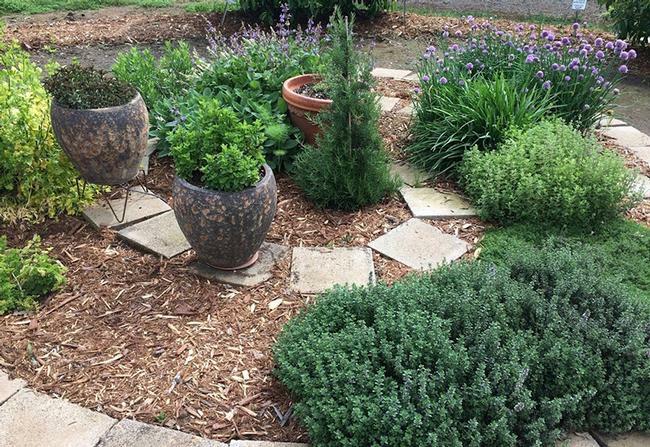 Herb Garden—offers suggestions for a way to grow herbs right outside the kitchen door. Backyard Orchard—eight different species of fruit trees illustrate the importance of tree maintenance, including experimentation in pruning. 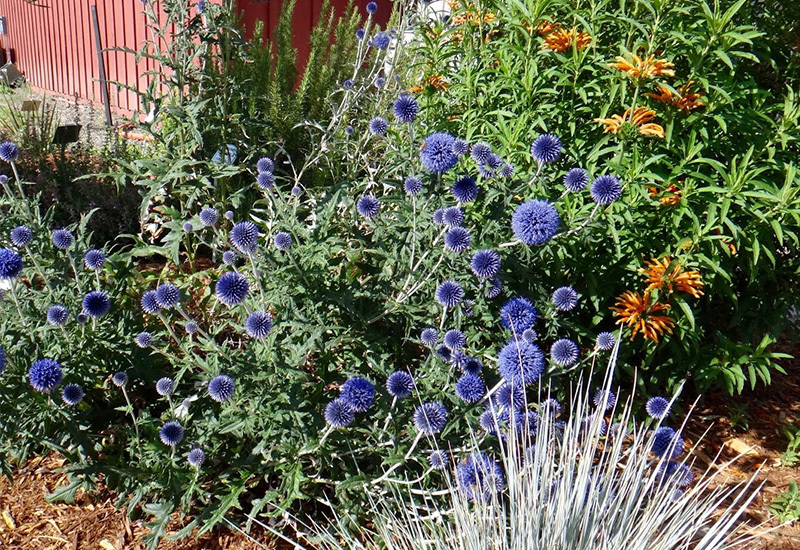 California Native Plant—highlights the incredible diversity and beauty of native plants. Arbors—illustrate the practical and beautiful uses of structure in the garden. 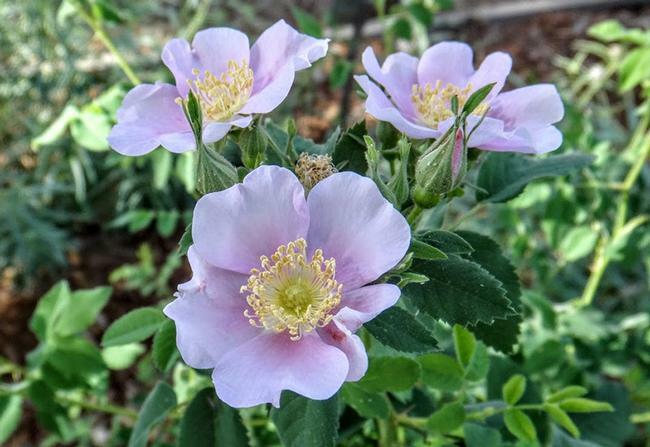 Wildlife Habitat—presents examples of native plants that wildlife depend on. 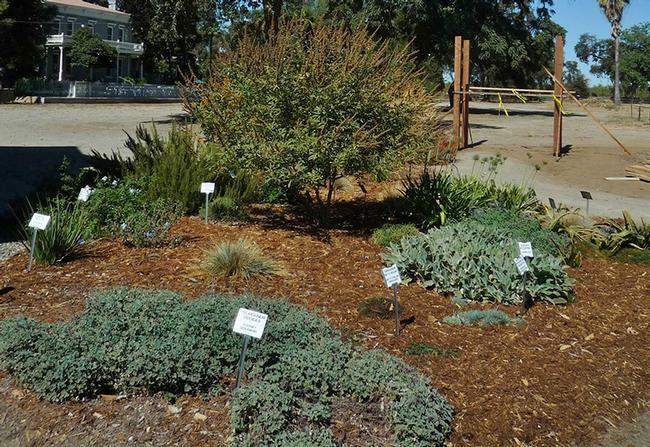 Alternative Turf—shows that there are options when considering groundcovers as a change from turf grass. The local community has been generous in their donations of merchandise, professional skills, money and volunteer time to help establish these beautiful and educational gardens. For example, in 2014 Butte College students in the Heavy Equipment Operator program built a storage shed; and in May 2017 CSU, Chico junior and senior students in the Associated General Contractors Student Chapter built an outdoor classroom and shade trellis. Engineering supervision was provided by volunteers from Slater & Sons. Master Gardeners have completed the other buildings in the gardens, including two recently constructed potting sheds and two arbors. The Far West Heritage Association generously offered the Master Gardeners the use of this property for the purpose of providing gardening support and education to the public. When you visit the gardens also be sure to visit the beautiful historic Patrick Ranch and tour Glenwood, the museum’s grand 1877 farmhouse. 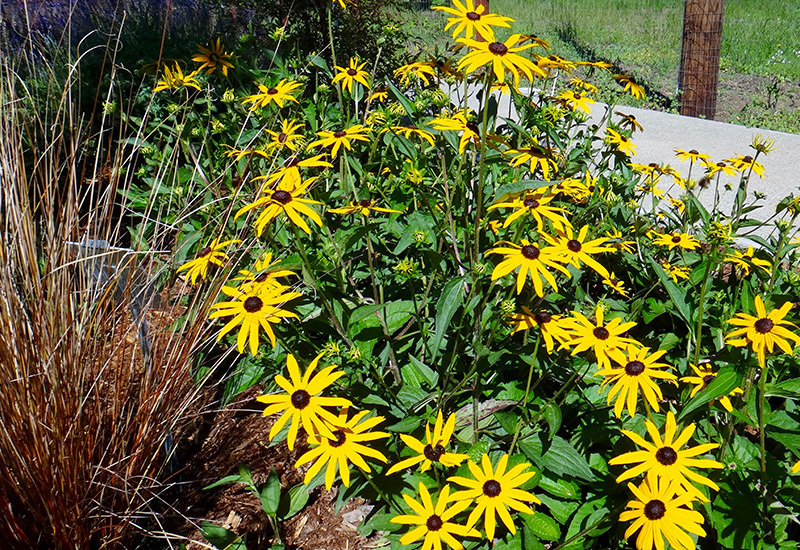 Black-eyed Susan (Rudbeckia hirta 'Goldstrum') in the All-star garden in late April. Young fruit trees just getting started in the Espalier Garden. California wild rose (Rosa californica) thrives in the Wildlife Habitat garden. Located in the Mediterranean garden, a Globe thistle (Echinops sphaerocephallus) and Lion’s tail (Leonotis leonurus) blooms in June. 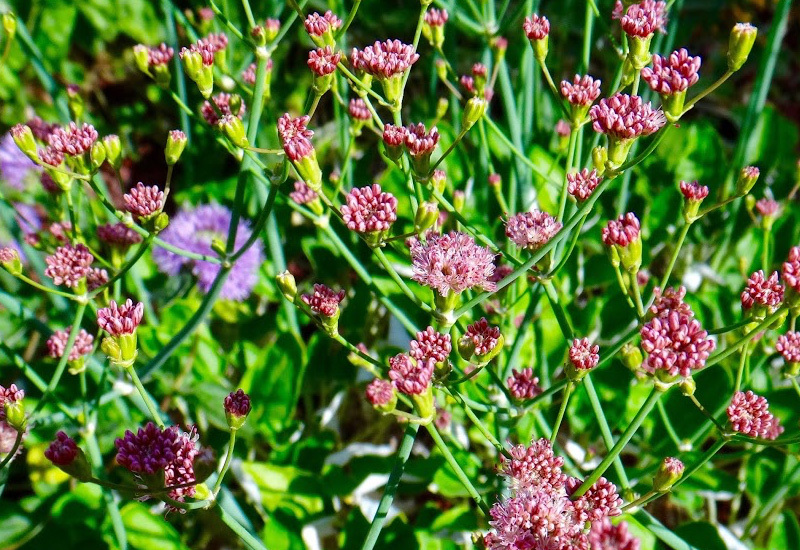 Red-flowered buckwheat (Eriogonum grande var. rubescent) in the California Native garden. A Fuyu Persimmon with two branches growing side by side was treated during a pruning workshop in the Backyard Orchard. The All-Star garden blooming in June. Thank you for your generosity and support. Your gift has played an important role in the development of the Master Gardener Demonstration Garden. Thank you to Patrick Ranch for their ongoing gift of the use of land for the Demonstration Garden.